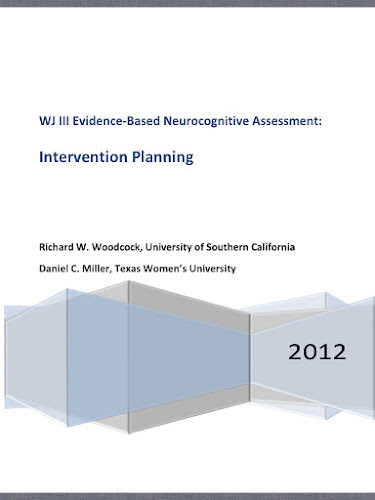 Richard Woodcock and Dan Miller are now making the following new approach to neurocognitive assessment available online via School Neuropsychological Training and Resources web page. Below is a description from the manual. 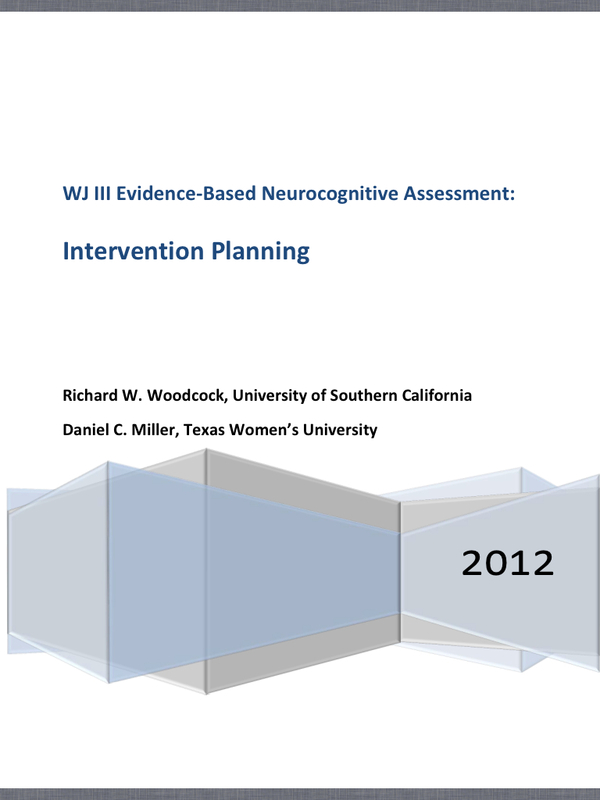 The purpose of this published set of tables is to provide clinicians with selective sets of WJ III tests that have been shown to be the most informative of cognitive and achievement weaknesses and strengths in known clinical groups. Too often clinicians use a fixed battery approach and administer the majority of the WJ III tests to any child or adult with minimal regard to the underlying clinical diagnosis. The goal of this project is to provide clinicians with a suggested set of tests that could be administered as a starting point for intervention planning, particularly if the clinical diagnosis is already known or highly suspected.